Written in a clear, reader-friendly style, Speech Science Primer serves as an introduction to speech science and covers basic information on acoustics, the acoustic analysis of speech, speech anatomy and physiology, and speech perception. It also includes topics such as research methodology, speech motor control, and history/evolution of speech science. 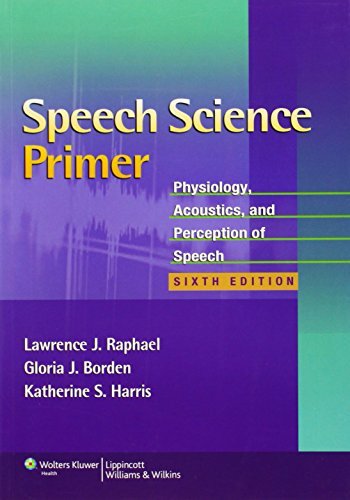 With its reader-friendly content and valuable online resources, Speech Science Primer: Physiology, Acoustics, and Perception of Speech, Sixth Edition is an ideal text for beginning speech pathology and audiology students and faculty. If you have any questions about this product by Brand: Lippincott Williams Wilkins, contact us by completing and submitting the form below. If you are looking for a specif part number, please include it with your message.